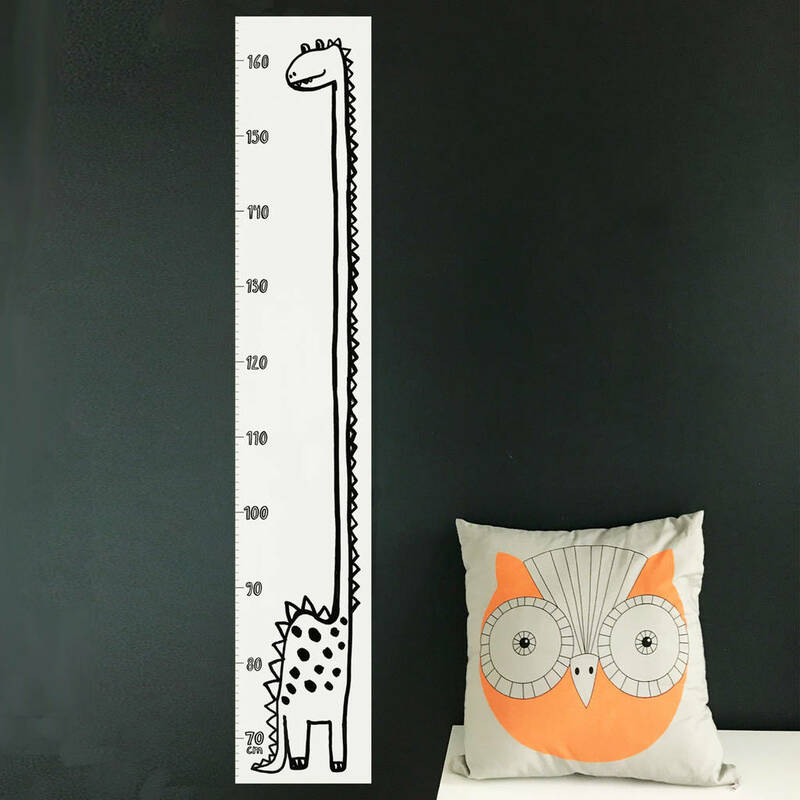 This stunning screen printed height chart would look lovely hanging in any modern nursery or playroom. 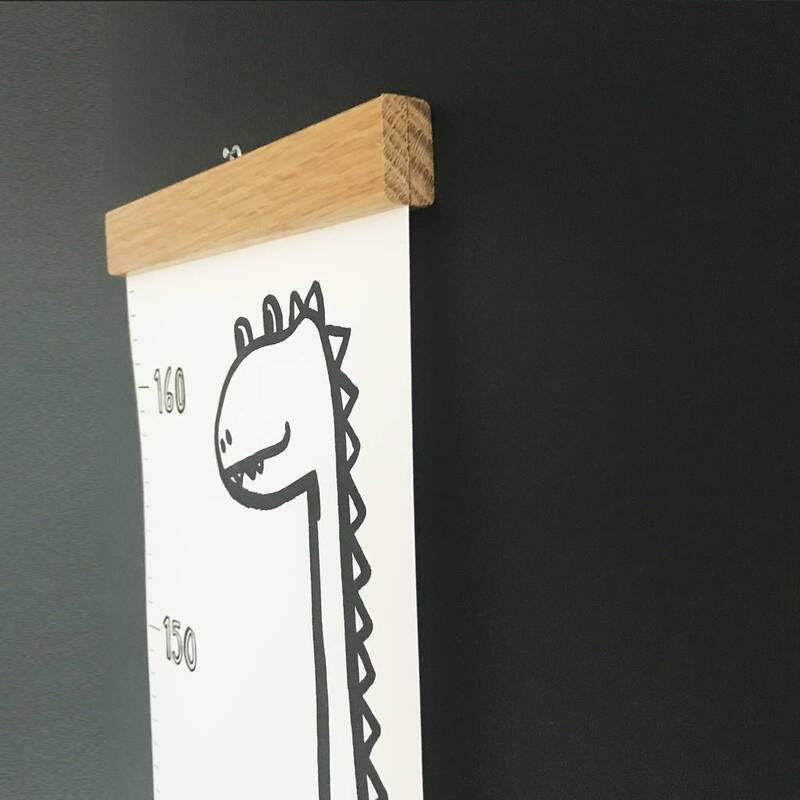 Children grow up so quickly and this dinasaur height chart is a lovely way of keeping track of your child's growth as well as a stunning decor in your childs room. 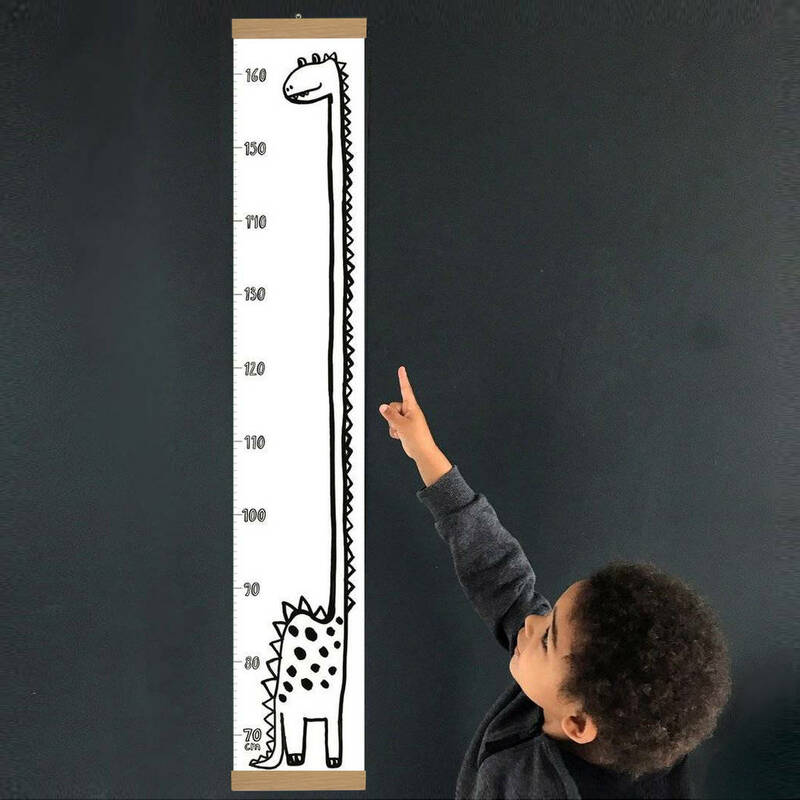 The measurements on the height chart are in centimetres and start at 65cm and go up to 160cm. The black bold ink drawing is an exclusive design by Karin Åkesson. 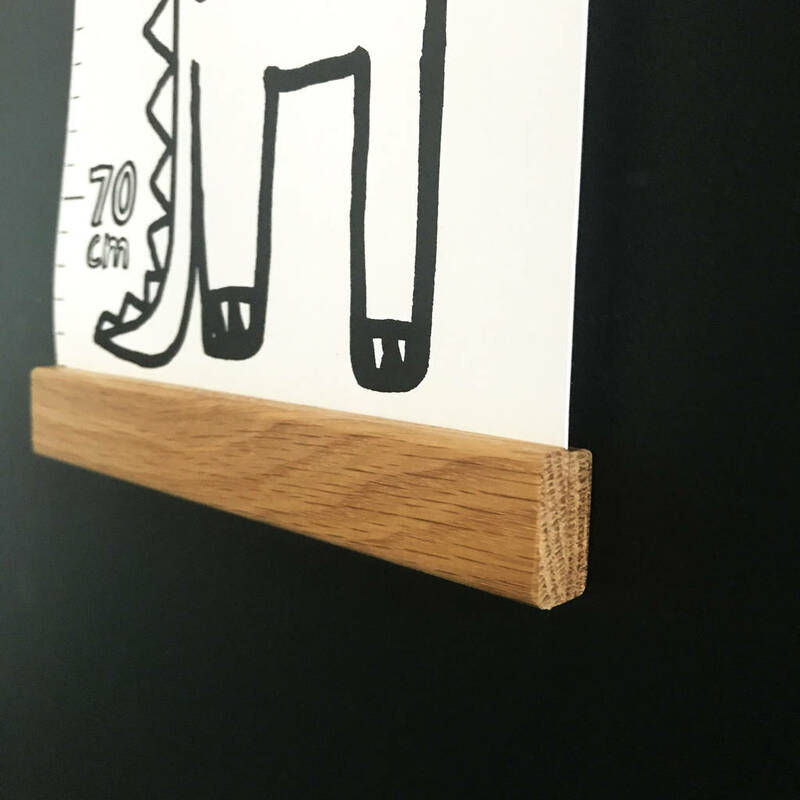 You have the option to buy the height chart with a beautiful oak frame with one wooden bar at the top and one at the botton of the chart. 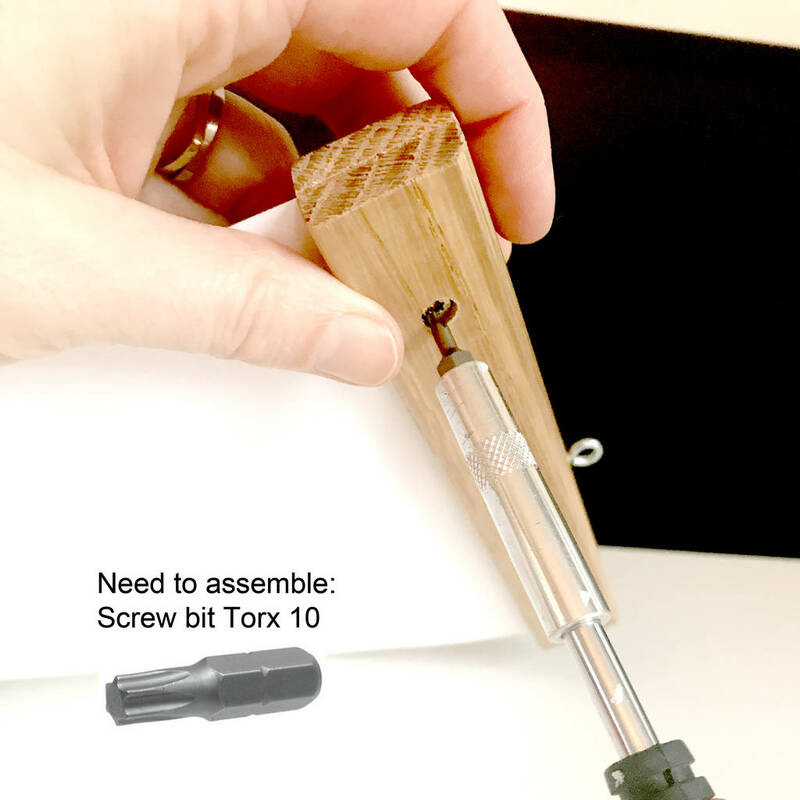 The frames are easy to assemble using a screwdriver with bit Torx 10. The chart is hand screen printed on 270 gsm high quality heavy bright white paper and rolled up and send in a tube. Paper size 102 x 18 cm. 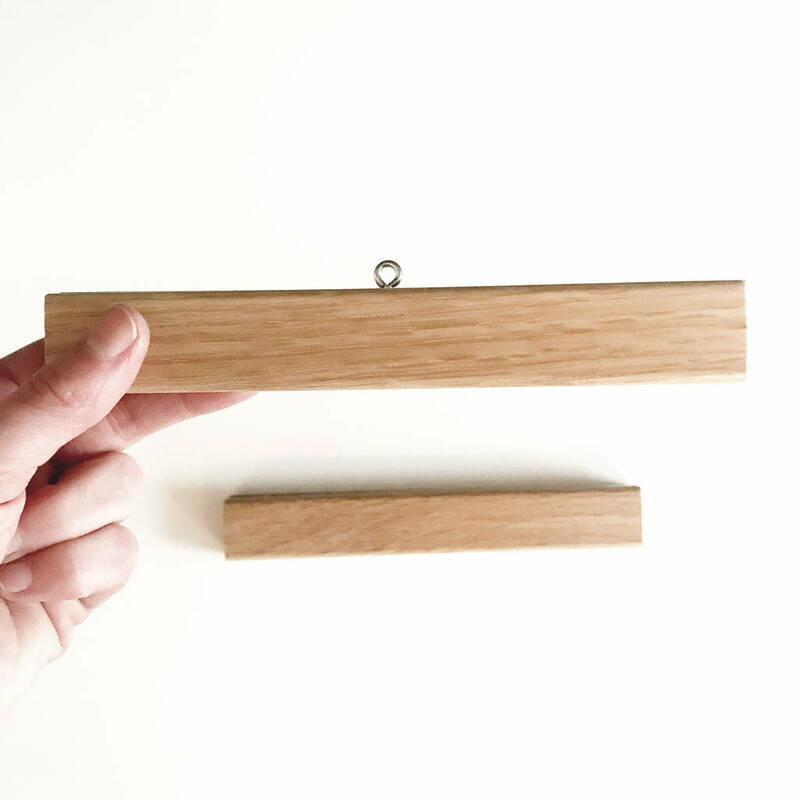 This product is dispatched to you by Karin Åkesson Design.